This product is a great last week of school activity! 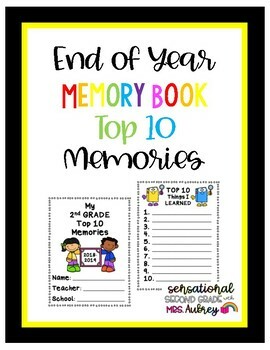 End of Year Memory Book with Top 10 lists for your students to remember their favorites from the year. 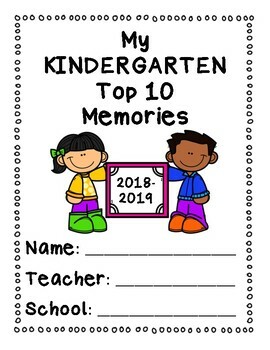 This product includes cover pages in black and white as well as color for Kindergarten through 7th grade. 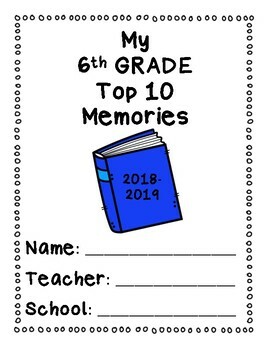 The Top 10 pages included are: books, things about my teacher, things I learned, recess games, class assignments, school lunches and funniest moments.